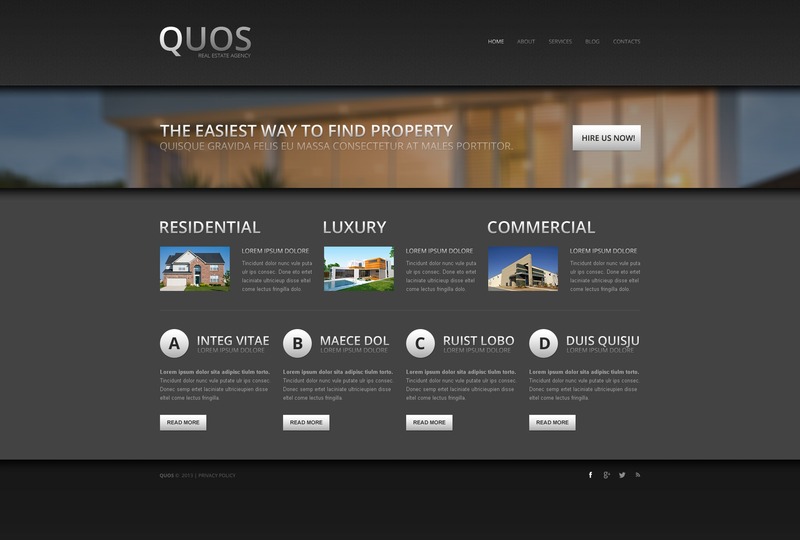 Share your most recent news, services or products with the community using this real estate agency website theme We strongly feel that property agency or real estate agent online sites should appear eye-catching and competent, just like the web layout shown here. This template's valid HTML coding and explicit documentation will help in the process of modification of this layout to conform to your business requirements. Your internet site visitors can quickly browse it on a range of mobile gadgets due to responsive nature of the web theme. Adding more interest and elegance to the page's appearance, this particular template maintains harmony with well-placed sections and blocks that help being focused on the content. A comprehensive documentation folder as well as free 24/7 support are included. Buy this website layout, and it'll be easy for you to launch a profitable online project instantly!